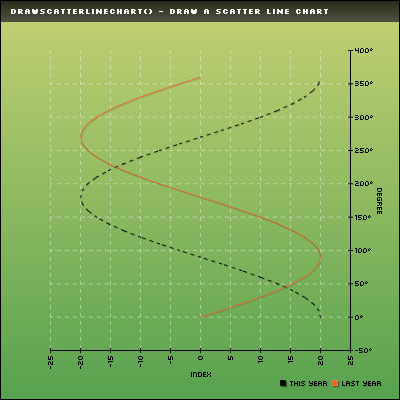 This function allows you to draw a scatter line chart. All the drawing parameters are given trough a $Format array. To learn more about this please read the Format array guide.